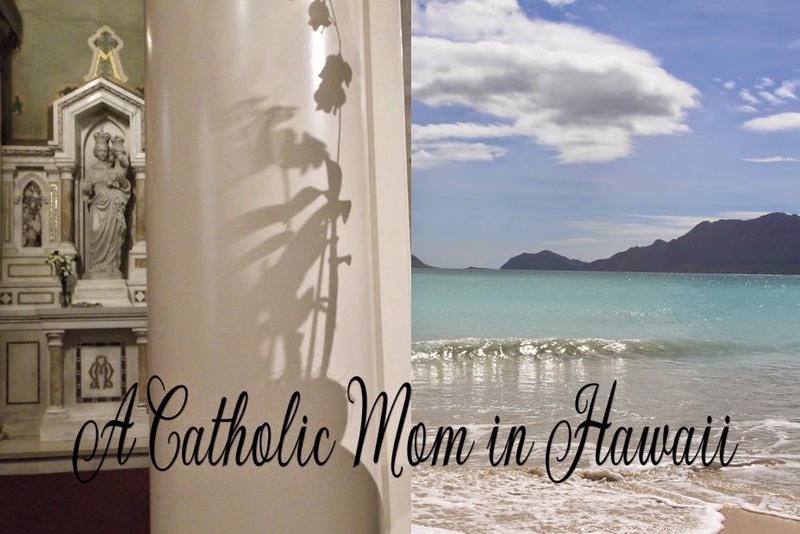 Friends, relatives, Priests, Religious on the east coast? Please let them know about the Opening Mass in Baltimore at the Basilica, main celebrant is Archbishop O'Brien on May 19 (tuesday) at 12:10 PM. All are welcome! 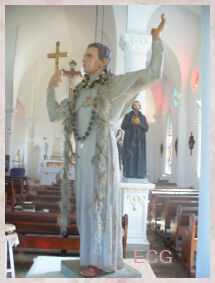 National Shrine of Blessed Francis Xavier Seelos, C.Ss.R. 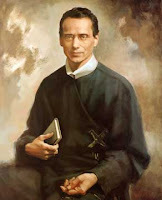 It is with great delight and glory to God, that Most Reverend Edwin F. O’Brien, Archbishop of Baltimore, has confirmed the date of May 19, 2009, to celebrate the Opening Session in the Diocesan Inquiry into an alleged healing through the intercession of Blessed Francis Xavier Seelos, C.Ss.R. The results of this investigation will be sent to the Congregation of the Causes of the Saints in Rome for their consideration. If this healing is miraculous, it may lead to the canonization of Blessed Seelos. The Opening Session of the Diocesan Inquiry will be celebrated with a special Mass at 12:10 p.m. in the historic Basilica of the Baltimore Archdiocese ( 409 Cathedral Street, Baltimore MD 21201 ). 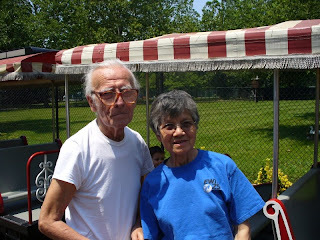 The Archdiocese of Baltimore will then begin the depositions of key witnesses – including that of a daily Communicant from St. Mary’s (Redemptorist) Church, Annapolis , who attributes her healing of metastasized esophageal cancer through Father Seelos’ intercession. In 1844, Father Seelos was ordained in Baltimore . He ministered at St. Alphonsus in Baltimore, Saints Peter and Paul in Cumberland and at St. Mary's in Annapolis . In Cumberland and in Annapolis , he also served as prefect of Redemptorist seminarians. He distinguished himself in this position by his constant availability to the students in their needs, by his unfailing joyfulness even in very difficult circumstances, and by his careful concern that the students learn solid Catholic doctrine. Above all, he sought to instill in the students a great enthusiasm for untiring self-sacrifice in promoting the spiritual and temporal well-being of the people they would be called upon to serve. He contracted yellow fever in New Orleans while ministering to the stricken. He died on October 4, 1867. 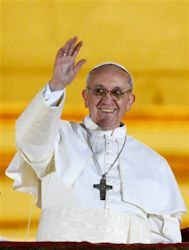 He was beatified by His Holiness Pope John Paul II in Rome on April 9, 2000. He was the only North American to be beatified in the solemn Jubilee Year. This video was shown at the National Day of Prayer Breakfast in Washington, D.C. this morning. Don’t miss EWTN’s exclusive broadcast of the National Catholic Prayer Breakfast at 1 p.m., Sunday, May 10; 5 a.m., Monday, May 11; and 9 a.m., Saturday, May 16. Only EWTN will broadcast the event, as it happened, in its entirety. This year’s program, which took place on Friday, May 8, was hosted by EWTN News Director Raymond Arroyo, and featured His Excellency Raymond L. Burke, Archbishop Emeritus of St. Louis , and The Honorable Antonin Scalia, Associate Justice of the U.S. Supreme Court. In light of the recent scandal involving another Roman Catholic priest, the main stream media is again giddy in their revived arguments against celibacy. What one thing has to do with another could only be understood by the enemies of the Church. They seem to forget that celibacy on the part of the priest is a gift to God. Let this be a wake up call to those of us who have been lax in praying constantly for our priests. We know that the Devil is constantly on the attack for the souls of our priests. 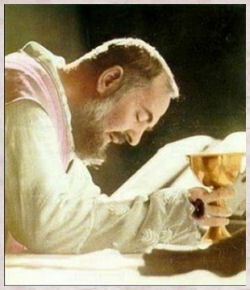 So to those of you who are tempted to discuss the current events, read the tabloid-like reporting, and criticize a priest's actions...., I challenge you to pray daily for a specific priest as well as all of the priests in general, make sacrifices for them, make a Holy Hour of Adoration for them, become a spiritual mom and spiritually adopt a priest, etc. ...On a time as he sat at the table, and collation was made of the poverty of the Blessed Virgin our Lady, anon S. Francis arose and began to weep and sob sorrowfully, so that his visage was all wet of tears, and began to eat the remnant of his bread upon the ground. 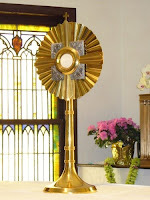 He would also that right great reverence should be done to the hands of priests, to whom was given power to sacre the blessed sacrament of our Lord. Prayers for Priests You can also sign up to become a prayer warrior by sending them an email at that site. 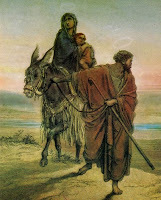 One of my blogging buddies James Mary is asking us to join in a novena to St. Joseph which starts today. 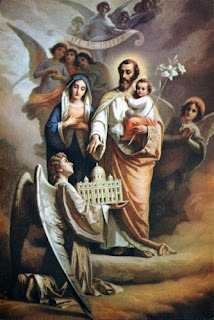 "Please join me in the following prayer to Our Lady and Novena to Saint Joseph beginning on Friday, May 8th through Saturday, May 16th, 2009/The intention(s) is simple: That Jesus may be loved equally as much as He has been destroyed within the hearts and bodies of all children created through His Word, yet, martyred by the world of Herod by abortion. And, that Bishop’s of the Holy Church of God will act as one in defending Catholic faith and morals by rescinding the commencement invitation to President Barack Hussein Obama." James Mary draws the comparison of King Herod and the massacre of the innocents to our current president and the massacre of millions of innocent babies through the violent killing known as abortion. If you would like to join in, please click the link below. Note, Notre Dame is in St. Joseph County, Indiana. I did not know that. As May 17 approaches, it is now almost certain that the University of Notre Dame will violate the Bishops' clear prohibition against honoring pro-abortion leaders at Catholic institutions - ignoring the pleas of nearly 70 Catholic bishops and more than 350,000 of you! So what are we to do? Right now, as Bishop Wenski, of Orlando said in his Mass of reparation, "I am not going to send upset Catholics to storm Notre Dame with pitchforks, I am going to tell them to pray." In that same spirit let us pray for the graduating seniors, Notre Dame and the renewal of faithful Catholic higher education in our country. With gratitude for your witness of the Catholic faith, Fr. John Corapi has taped the following message about what the scandal at Notre Dame means for our faith and the importance of not giving up the fight. We have been surfeited in America in the last few years with sociological, psychological, and theological surveys of what has happened to the church. But they are not of much avail because cultural reasons do not explain what has happened. The church has undergone a great crisis and some degeneration in every country in the world: Africa is suffering; the church in Asia is suffering; Europe is suffering. If there were only cultural reasons, the effect would not be so universal. It can only be, therefore, that there are some other causes besides the cultural and national at work. One that is not to be neglected is the demonic. Whenever there is an outpouring of the Holy Spirit, there is always a strong effort put forth by the diabolic. For example, when Moses worked miracles, the magicians of the Pharaohs duplicated some of them. When the church received the Holy Spirit, there was the persecution of Stephen. With the Vatican Council, there has been an outpouring of the Holy Spirit and also an outpouring of the evil spirit. But our theologians have neglected the demonic. God says, "I am who am". The devil said "I am who am not." The demonic is always most powerful when he is denied. It is almost impossible today to find a theologian writing about the demonic, unless it be to deny it. That is not true of literature. It is not true of psychiatry. It is true only of theology. 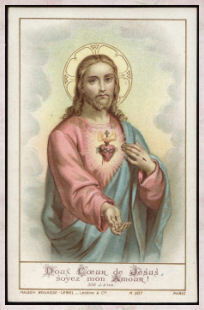 St. Francis de Sales says that our Savior can never be seen more amiable and more tender, in all that He has done for us, than in the Holy Communion, in which He, so to say, annihilates Himself to the hearts and bodies of His faithful. It should be detached from creatures, and have a great desire to advance in divine love. 2. In the second place, it is most meritorious in the Holy Communion, to have a great desire to receive Jesus Christ and His holy love. Divine Providence entrusted a very important role in Saint Faustina's mission to her confessor and spiritual director Fr. Michael Sopocko. During Saint Faustina's stay in Vilnius (Lithuania) in the years 1933-1936, he was for her an irreplaceable help in discerning interior inspirations and visions. Obedient to his orders, she wrote a DIARY, which is an now an extraordinarily valuable document of Catholic mysticism. In the DIARY one can also find evidence of Fr. Michael Sopocko's extraordinary character and his work in fulfilling the desires of the Lord Jesus. What a sad birthday my mom will have this year...May 17th. Tomorrow will be one month that my dear father passed away and our family really misses him. My mother wanted me to share with you the events of his death in the hopes that it will inspire others to help prepare a loved one for death. 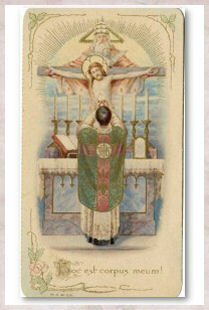 For whatever reasons he may have had, my father did not attend Mass regularly. This did not mean he did not love the Church. He often proclaimed his love of the Catholic Church as well as stating proudly that he was and will always be a Catholic. He did not understand the "modern" changes that had occurred in the Church and would not hesitate to scoff at some of them. One change he did not like was the fact that a lay person like his daughter (yours truly) was permitted to be an Extraordinary Minister of Holy Communion. Another thing that troubled him was that the laity received Holy Communion in the hand. He did have a devotion to the Blessed Mother, especially through her title of Our Lady of Fatima, St. Francis of Assisi and to St. Jude Thaddeus. 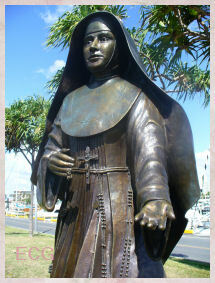 Of course, being Peruvian, he loved Santa Rosa de Lima (he and my mom actually named one of my sisters after her) and San Martin de Porres. So that was my dad's spirituality in a nutshell. On March 28th, my father suffered a massive heart attack. The same day one of my brothers and I flew to be with our family. That one brother did not leave my father alone for even a moment while he was in the hospital. He slept at the hospital for the week following my father's heart attack and ultimate death a week later on Palm Sunday. During that time while my father was on life support my mother went into action...spiritually speaking. The first thing she did was to place the Brown Scapular of Our Lady of Mount Carmel on my father and made the ER personnel promise not to remove it, no matter what. You know what? They promised. She would sprinkle my father from head to toe with Holy Water. 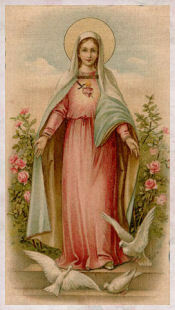 She prayed the Holy Rosary constantly for our Lady's intercession. We all prayed the Chaplet of Divine Mercy continuously. The chaplains of this Catholic hospital as well as priests who were friends of our family, came by regularly. My father not only received the anointing of the sick, but also many blessings and prayers from these wonderful priests as well as the apostolic pardon. Exactly one week from the date my father was brought to the hospital, we decided to abide by his wishes and have the life support disconnected. The woman in charge of disconnecting his life support just happened to be a former sister and friend of the family. Because she knew my family very well, she couldn't bring herself to do the disconnecting. She asked the very kind and compassionate young resident in charge to do it and he did. Our family, mother, brothers, sisters surrounded my father that Saturday night into early Sunday morning. We did not leave his side. He passed away peacefully early Palm Sunday morning. There was no sign of an agonizing death. My father was considerate enough to pass away at that time, thereby giving us time to make it to Palm Sunday Mass in the Chapel. He died surrounded by those who loved him the most. You can see by what I shared above that my father died a happy death. Then we began to see signs and connections that God sent us to give us comfort. First of all, he was admitted to St. Joseph's Hospital. 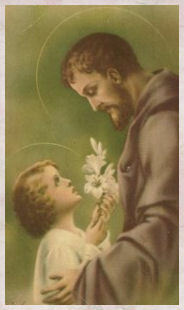 St. Joseph is the patron saint of fathers and of departing souls. His life support was disconnected on First Saturday of the month. 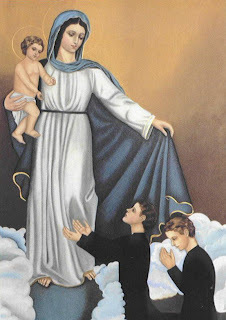 First Saturdays are dedicated to Our Lady of Fatima. The nurse that day was named Fatima and her birthday just happened to be May 13th. The feast day of our Lady of Fatima. Remember, my father had a devotion to our Lady of Fatima. He passed away on Palm Sunday. And, one more thing I would like to share and I hope my sister doesn't mind too much. My other sister was driving home that day, inconsolable at our father's death, when she spotted a license plate of the car in front of her that said "Going to Heaven". If that wasn't enough, the song playing on the radio was "God is Speaking to You." So you see the importance of helping a loved one die in the embrace of the Catholic Church's sacraments, blessings and prayers. Lastly, in our family my father was known as an avid collector of stuff. He collected mass amounts of stuff he liked...movies, baseball cards, tools, etc. Well, after he died, he started a new collection...Masses said for the repose of his soul. We have been blessed by the generosity of family and friends who have provided for Masses to be said in many states, churches, etc. I have been wanting to post about this worthwhile Catholic organization for quite some time now. It was my mother who first told me about the good work they do to help the suffering Church, the persecuted Church...well...as their name states...the Church in need. "You assure a fundamental service to the human person when he or she is deprived of an inalienable right to religious liberty." As an international Catholic charity under the guidance of the Holy Father, Aid to the Church in Need’s mission is to help suffering and persecuted faithful worldwide. As the voice of the suffering Church, with the help of our ACN family of faithful — hundreds of thousands of concerned and committed Catholics worldwide — we reach out to assist people in need in over 145 countries. Each year, we fulfill more than 5,000 projects through our spiritual and material aid programs. Our shared goal: To help strengthen the Church and keep the Faith alive. Where there is darkness and despair, we provide light, hope, and a constant sign that the Church is a dynamic, single, universal body in Christ. I want to thank Joe Iallonardo, Jr for contacting me about posting an article about the ACN. As mentioned above, I have been wanting to do this for a long time because I realize the urgent need to help. The work they do and need to do is tremendous! This work cannot be done unless people like you and me help. Through your Mass Offering, you bring God's compassion and love to your loved ones, but also hope to those who celebrate the Mass in Communion with the Saints. Rest assured that your Mass Stipend will be sent — in full — to a priest who will celebrate a Mass for your intentions. 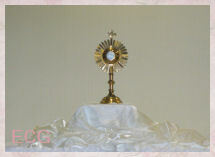 Because of the Eucharist, our brothers and sisters put their lives at risk for the Gospel, defying fear and death. Your offering for a Mass fulfills many spiritual blessings in heaven and on earth. 4. Volunteering as a translator, etc. I will be adding a link to the side bar for donations. Thank you for helping! 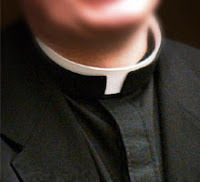 Why Not a Priest - Porque No Ser Sacerdote? Be sure to visit Why Not Priest? Fr. O'Brien, pastor of St. Peter the Fisherman in Wisconsin, reflects on his parish's awesone Pentecost window, and how all the faithful are called to a vocation. 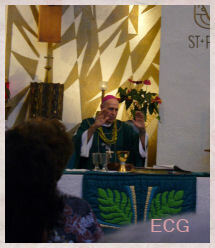 Visit Saint Peter the Fisherman and FSCC - Called to Be for more info. May Feelings II - Do You Pray the Rosary? In searching for words from saints on discerning a vocation to either religious life or the priesthood, I came across this marvelous site which is a wealth of inspiration for those of you discerning your vocation in life. They [religious] live more purely, they fall more rarely, they rise more speedily, they are aided more powerfully, they live more peacefully, they die more securely, and they are rewarded more abundantly." "If a person thinks of embracing a secular life, he should ask and desire more evident signs that God calls him to a secular life than if there were question of embracing the evangelical counsels; for Our Lord Himself has clearly exhorted us to embrace His counsels." "But chastity maintains the first rank in virgins, the second in those who are continent (celibate), the third in the case of wedlock." [...] "While laws are prescribed to matrons ... virginity and continency are beyond all law; there is nothing in the laws of matrimony which pertains to virginity; for by its loftiness it transcends them all." "Now if a man choose the way of the world, namely marriage, he is not indeed to blame; yet he will not receive such great gifts as the other. For he will receive, since he too brings forth fruit, namely thirtyfold. But if a man embraces the holy and unearthly way, even though as compared with the former it be rugged and hard to accomplish, nonetheless it has the more wonderful gifts: for it grows the perfect fruit, namely a hundredfold." [Words of the Queen] "My daughter, the greatest happiness, which can befall any soul in this mortal life, is that the Almighty call her to his house consecrated to his service. For by this benefit He rescues the soul from a dangerous slavery and relieves her of the vile servitude of the world, where, deprived of true liberty, she eats her bread in the sweat of her brow. Who is so dull and insipid as not to know the dangers of the worldly life, which is hampered by all the abominable and most wicked laws and customs introduced by the astuteness of the devil and the perversity of men? The better part is religious life and retirement; in it is found security, outside is a torment and a stormy sea, full of sorrow and unhappiness. Through the hardness of their heart and the total forgetfulness of themselves men do not know this truth and are not attracted by its blessings. 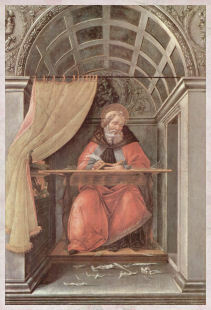 But thou, 0 soul, be not deaf to the voice of the Most High, attend and correspond to it in thy actions: I wish to remind thee, that one of the greatest snares of the demon is to counteract the call of the Lord, whenever he seeks to attract and incline the soul to a life of perfection in his service. Even by itself, the public and sacred act of receiving the habit and entering religion, although it is not always performed with proper fervor and purity of intention, is enough to rouse the wrath and fury of the infernal dragon and his demons; for they know that this act tends not only to the glory of the Lord and the joy of the holy angels, but that religious life will bring the soul to holiness and perfection. It very often happens, that they who have received the habit with earthly and human motives, are afterwards visited by divine grace, which perfects them and sets all things aright. 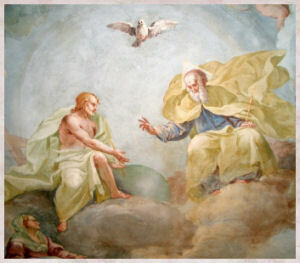 If this is possible even when the beginning was without a good intention, how much more powerful and efficacious will be the light and influence of grace and the discipline of religious life, when the soul enters under the influence of divine love and with a sincere and earnest desire of finding God, and of serving and loving Him?